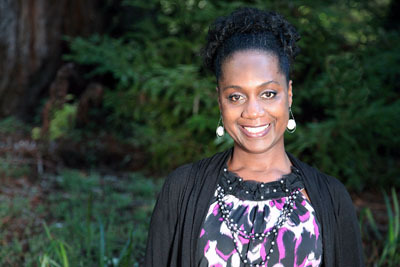 Sheree M. Marlowe is the campus diversity officer for staff and students. UC Santa Cruz has received the 2015 Higher Education Excellence in Diversity (HEED) Award from INSIGHT Into Diversity magazine, the oldest and largest diversity-focused publication in higher education. Sheree M. Marlowe, campus diversity officer for staff and students, said the award is an honor and the result of a collaborative campus process. "When drafting this award, I was amazed at the great people, units and programs we have on our campus from outreach efforts in admissions, student-initiated outreach, our resource centers, diversity in STEM programs, the black experience team, a mentoring program for faculty, our diversity and inclusion certificate program, and more," Marlowe said. "I'm proud to be at UCSC and look forward to continuing the work to advance diversity and promote a healthy campus climate." 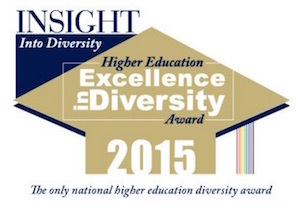 As a recipient of the annual HEED Award - a national honor recognizing U.S. colleges and universities that demonstrate an outstanding commitment to diversity and inclusion - UC Santa Cruz will be featured, along with 91 other recipients, in the November 2015 issue of INSIGHT Into Diversity magazine. "The HEED Award process consists of a comprehensive and rigorous application that includes questions relating to the recruitment and retention of students and employees - and best practices for both - continued leadership support for diversity, and other aspects of campus diversity and inclusion," said Lenore Pearlstein, publisher of INSIGHT Into Diversity magazine. "We take a holistic approach to reviewing each application in deciding who will be named a HEED Award recipient. Our standards are high, and we look for institutions where diversity and inclusion are woven into the work being accomplished every day across a campus,"
UCLA, UCSF and UC Santa Barbara were also given a HEED award.